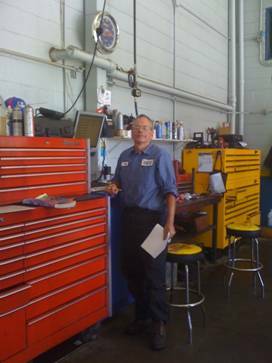 ASE Certified Master Technician – 30 plus yrs. I started my automotive career when I was 18. My passion for cars began in Elementary school. It began with reading every car magazine I could get my hands on and attending as many car shows as possible. But, the desire to modify and race cars really came about while watching my first drag race. As soon as I got my driver’s license I started competing in car events. I raced locally until 1989 when I advanced to IHRA Pure Stock Class. A short time later I moved to Stock Class in the NHRA Lucas Oil sportsman series until 2004. Currently when time will allow I am working on refurbishing one of my early race cars for competition in nostalgia racing events. 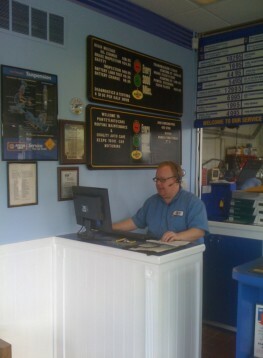 I have been working for Ponte’s AutoCare since Jim closed the chapter on the family repair business in 1984. All the lessons learn from racing have complimented all my formal training over the years. I have attended countless classes, clinics and seminars including many weeks of classroom training at the AC Delco Training Center in Moorestown, New Jersey. Over the years, I have been involved with my daughter’s sport teams and volunteer for various civic association projects. I enjoy spending time at the beach, boating, crabbing, fishing and spending time with my family. I have lived and worked in Delaware for over 35 years. 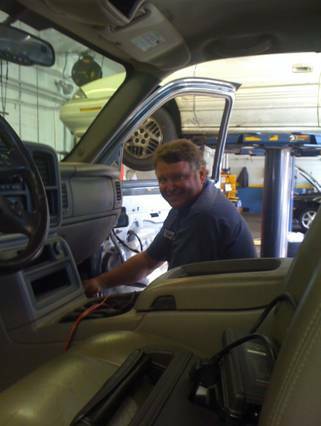 Before coming to Ponte’s, I owned and operated my own auto repair business for many years. For the last 20 years now I have worked for Ponte’s Auto Care. In my off time I enjoy all forms of automobile racing and getting involved as a driver, crew chief and owner in NASCAR, SCCA & WKA. Also, as a Master Mason I am involved in the community promoting and administrating the Maryland Child Identification Program. My wife and my two wonderful children enjoy traveling. There have been many great adventures seeing America by automobile. Born and raised in Wilmington and a graduate of Brandywine high school. While attending college for music and arts I worked for Ponte’s Shell part time. During that time and after college I managed Jim’s food mart for three years until Jim decided to concentrate on the concord pike location. In 2002 Jim & Denise wanted to focus more on their core business (Auto repair & maintenance), and took the opportunity to leave the gasoline business behind and open the new location. My experience has given me the ability to provide our customer’s the quality of service that they have come to expect. I have been working for the Ponte’s since1994. In my spare time I’m evolved in playing music and entertaining in various venues in the tri state area.